If you have an interesting Automobile related Web Site - register it on-line. AFS Information Systems provides F&I, Accounting, Payroll, Parts Inventory, Repair Order Management, Vehicle Inventory, Buyhere Payhere, Credit Bureau, Sales Management, Prospecting, Followup, and Tracking software for use in new or used car dealerships. The software is designed to work in automobile, RV, ATV, marine, motorcycle, heavy equipment truck, mobile home, agricultural dealerships, etc. 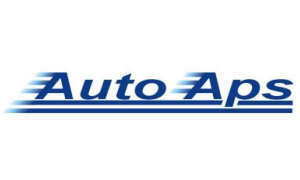 AutoAps provides inexpensive DMS software including modules for Accounting, Payroll, Repair Order Management, Parts Inventory, Finance and Insurance, Vehicle Inventory, Buyhere Payhere, Credit Bureau, Sales Management, Prospecting, Followup, and Tracking for use in new or used car dealerships. The software is designed to work in automobile, RV, ATV, marine, motorcycle, heavy equipment truck, mobile home, agricultural dealerships, etc. All modules are integrated with each other. AFS Information Systems integrates directly with AutoAps software modules. Complete BHPH Program with all the bells and whistles. Prints payment booklet, receipts, calculates weekly, bi-weekly, monthly, etc. Has collection letters, repossession routines, even posts payments to "AutoAps" integrated accounting software. Edmund's Automobile Buyer's Guides - Tons of good, FREE information about buying a car. A must for anyone buying a car. Carprices - vehicle pricing guide on all new and used vehicles back to and including 1985 models. Pace Buyers Guides - New and used car and truck prices, reviews and other information. Collector Car Showcase - Personalized ads (and more) for various types of collector cars. Look4Cars is a free automobile dealership/vehicle locator provided by AFS Information Systems. If you would like to advertise your dealership and/or list your inventory on the Internet, please register on-line. Dealership registration is free. The National Automobile Dealers Association NADA, founded in 1917, represents more than 19,700 new car and truck dealers, with more than 43,000 franchises nationwide, both domestic and import. The National Independent Automobile Dealers Association NIADA, founded in 1946, represents the independent automobile dealer and is the voice of the used motor vehicle industry and has over 15,000 professional auto dealer members. 5 Star Shine Never Wax Again - Cars, Boats, Aircraft, etc. New discovery gives superior protection and eliminates waxing. Adesa offers a host of automotive remarketing solutions including physical and Internet auctions, dealer floorplanning and transportation options. Add Me.com a resource for small business owners specialized in website and ebusiness promotion. American Automobile Association shares information regarding auto travel, services, packages, destination guides and membership benefits. American Recovery Service The #1 and largest repossession firm nationwide. Specializing in managing all of your repossession assignments. Transport to Auction. Lien fees advanced and paid immediately. The Auto Channel Today's automotive news, features, articles, and editorials of all kinds. Carfax Vehicle History Reports reveal important background information about a vehicle's past affecting safety and resale value. AFS Information Systems is proud to partner with Carfax. Experian has over 30 years of experience and more than 30,000 clients in North America. Transunion is a leading global providerof business intelligence services including innovative credit decisioning and fraud prevemtion tools. Accessories Giant offers easy and hassle-free ordering and shipping guaranteed for your performance car parts. All Performance Parts offers discount high performance auto parts and performance accessories for your car, truck or SUV. Auto Body Parts Buy One of the largest wholesalers of replacement auto body parts in the country with nationwide distribution centers. Buy Auto Parts is your home for Auto Parts, Car Parts, Truck Parts, Automotive Accessories and Body Parts. Auto Body Parts Go carries all auto body parts for most makes and models at heavilly reduce prices catering to any auto body parts you may have. Auto Parts Deal The best deals at the best prices. Free shipping on orders shipped within the continental U.S. Car Parts Deal Shop for the lowest OEM Car Parts Deal with savings that you can't find anywhere else but here. Car Parts Emergency features a complete online catalog of thousands of OEM import car parts. Car Parts Wholesale Buy wholesale auto parts direct from the source. we have no middlemen on your discount auto parts purchase! At Car Parts Wholesale, it is our focus to provide you discount car parts fast and easy. Discount After Market Parts is your premier source for high quality discount aftermarket car parts and aftermarket truck parts. Engine Auto Parts has you covered on over 250,000 different maintenance auto parts, whether you are in need of a single engine auto part or are looking for wholesale replacement parts. Nationwide Body parts is one of the largest online auto body parts wholesalers with over 18 years of professional experience providing the best prices on car and truck body parts. Shop Car Parts From Audi to Volvo we have you covered. Our onlinc auto parts catalog contains thousands of high quality replacement auto parts in stock for immediate shipment. Team Auto Parts provides you a great selection of discount auto parts offered at wholesale prices and is dedicated to providing the quickest service, and lowest prices on car parts and truck parts. Truck Parts Discount Our online truck parts catalogs carries a wide range of truck parts such as Dodge, Ford, Toyota, Chevy, Nissan, GMC, and general car and truck parts. Black Book Since 1955 has been the only guidebook to quickly reflect the latest wholesale prices direct from the auction lane. Kelley Blue Book was first published in 1926 and has been guiding car buyers more than 75 years. Alessi Racing Mike and Jeff Alessi are "Multi-Time Amateur National CHAMPION" MX racers. Mike won his first national championship race in 1984 and hasn't slowed down since. Jeff is the younger brother and is usually right on Mike's heels. Look at their website racing results. Unbelievable doesn't quite describe these kids racing ability. Mike and Jeff are nephews of Ron Cooper, owner of AFS Information Systems. NASCAR - The offical site of NASCAR contains all you want to know about this popular sport. dBcom - Produces low cost, automated race timing and scoring equipment as well as other communications products. Formula Tours - Travel Agency offering Formula 1 Racing Packages including first class hotel accommodations, transfers and excellent seats for the car race of your choice. Grand Prix Tours - Formula One, Indycar, NASCAR and Historic Racing tours. BMW Canada - Explore the world of BMW. Wander through our museum, the Art Cars, the on-line consultant, and see the current model line-up. TD Auto Finance formerly Chrysler Financial Corporation - a subsidiary of Chrysler Corporation, provides consumer auto loans and leases and dealer financing throughout North America. Jeep - the official Jeep site of the Chrysler Corp.
Jaguar Cars - complete with information on available models, dealer locations, owner benefits, jaguar history, press releases, and more. American Isuzu Motors - Home to Trooper, Rodeo and the sport utility spirit. Land Rover - includes Quicktime VR movies and downloadable screensaver. Toyota Australia - Featuring complete production info, dealer service links and action-packed motor sports pages with spectacular photographs. VW Audi Austria - Information about VW and Audi products.